Klaus Florian Vogt is one of today’s outstanding Wagner tenors. His repertoire includes mainly dramatic roles such as Lohengrin, Parsifal, Tannhäuser, Stolzing and Siegmund, as well as Florestan (“Fidelio”), Paul (“Die tote Stadt” (The Dead City)) and Hoffmann (“The Tales of Hoffmann”). He also sings lyric-dramatic roles very successfully, e.g. Erik (“The Flying Dutchman”), Andrej (“Khovanshchina”), Prinz (“Rusalka”), Bacchus (“Ariadne auf Naxos”) and Faust (“The Damnation of Faust”). He is in demand as a guest at all the world’s big opera houses and at the Bayreuth Festivals, the Salzburg Festivals and numerous international festivals. Opera houses to which engagements have taken him include those in Munich, Berlin, Hamburg, Paris, London, Barcelona, Vienna, Madrid, Milan, Toulouse, Helsinki and New York. He has been a regular guest at the Bayreuth Festivals since 2007: after his triumphal debut as Stolzing in “The Meistersinger of Nurnberg”, he sang Lohengrin there from 2011 to 2015. In 2016 he took on the title role in the new production of “Parsifal”, and he returned later as Stolzing in Barrie Kosky’s new production on the Green Hill (in Bayreuth) in 2017 and 2018. Klaus Florian has made worldwide guest appearances as Lohengrin. There is currently no other singer who is so artistically successful in the role of Wagner’s Knight of the Grail. Opera houses in which he has been seen in the role include La Scala Milan, the Metropolitan Opera New York, the Vienna State Opera, Zürich Opera, the New National Theatre in Tokyo, the Bavarian State Opera, the German Opera House in Berlin, Hamburg State Opera, at the Baden-Baden Whitsun Festivals, and of course at the Bayreuth Festivals. 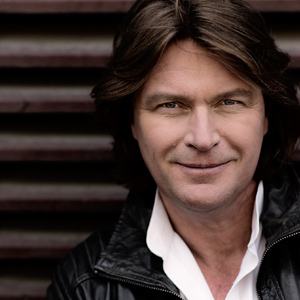 Klaus Florian Vogt has also made a name for himself as a concert singer and Lied interpreter. He has made several appearances in Vienna, New York, the Tanglewood Festival, London, Athens, Berlin, Leipzig and the Salzburg Festivals, among other places. He works with conductors such as Daniel Barenboim, Andris Nelsons, Mariss Jansons, Simone Young, Antonio Pappano and Kent Nagano. Numerous recordings and solo albums by Klaus Florian Vogt are available, including the three solo CDs “Helden” (Heroes). 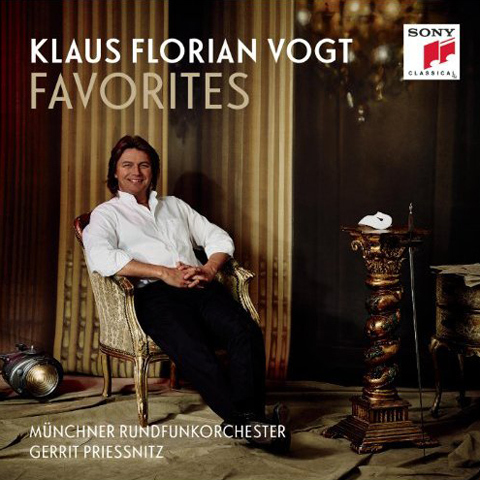 Klaus Florian Vogt recorded a series of thrilling operetta hits for his “Favorites” CD, in which he displays a fascinating spectrum of melodies from “Grüß mir mein Wien” and “Es steht ein Soldat am Wolgastrand” to “Dein ist mein ganzes Herz” as well as hits from musicals like “Music in the Night” from “Phantom of the Opera”.